One of our range of elegant stainless steel hip flasks available in a variety of sizes, this 12oz stainless steel hip flask with brushed steel finish is ideal for transporting your choice of spirits securely and without fear of spillage to any venue indoors or out. It has a captive screw cap to ensure the liquid stays inside and you can never lose the top, and it has a whole 12oz capacity; that’s enough tipple to keep you happy all evening and then some. 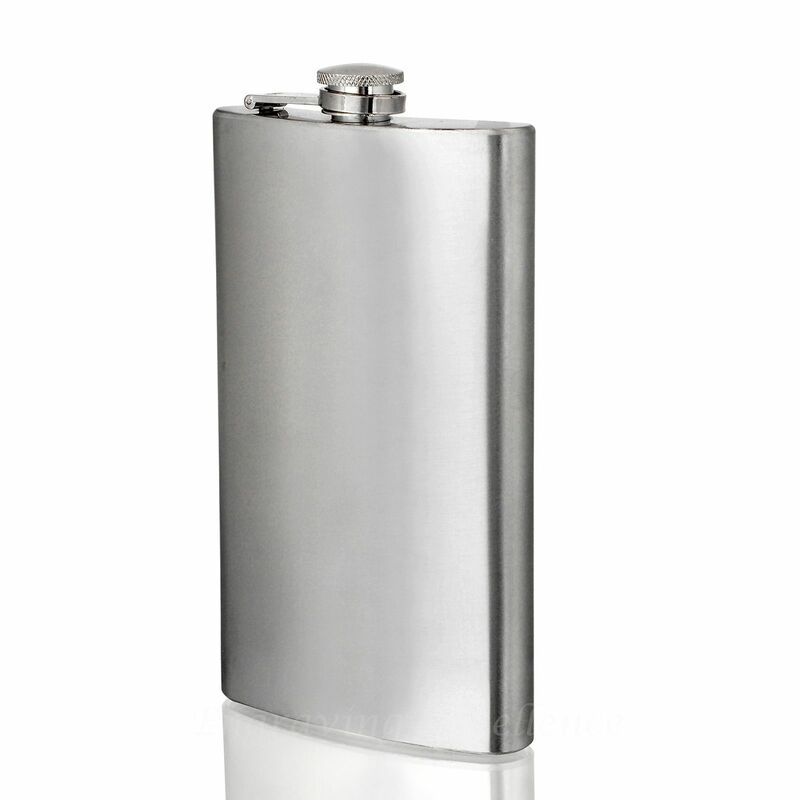 This stainless steel hip flask can be engraved to make it a truly personal keepsake, and would make a great gift for a birthday, an anniversary or maybe as a gift for the groom’s man or father of the bride at a wedding. Whatever you choose to do with this handsome hip flask, the recipient will find it useful for years to come. On this hip flask we engrave up to 7 lines of 25 characters each (including spaces).